Looking for a luxury SUV with a little more power? 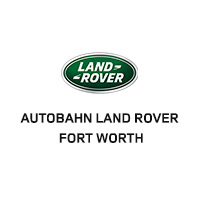 Our inventory of new Range Rover Sport models for sale in Fort Worth have just what you need. Packaging together the high-end luxury of Land Rover with the durability and capability for off-road adventures, this SUV has it all. Explore our inventory below, and contact us with any questions! 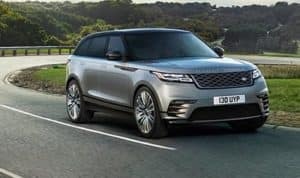 1CK/Blue 2019 Land Rover Range Rover Sport SE 4WD 8-Speed Automatic 3.0L I6 3.0L I6. Recent Arrival! Carpathian Gray Premium Metallic 2019 Land Rover Range Rover Sport Supercharged 4WD 8-Speed Automatic 5.0L V8 Supercharged Recent Arrival! Santorini Black Metallic 2019 Land Rover Range Rover Sport SVR 4WD 8-Speed Automatic 5.0L V8 Supercharged Recent Arrival! Fuji White 2019 Land Rover Range Rover Sport HSE 4WD 8-Speed Automatic 3.0L V6 Supercharged Recent Arrival! Santorini Black Metallic 2019 Land Rover Range Rover Sport HSE 4WD 8-Speed Automatic 3.0L I6 3.0L I6. Recent Arrival! 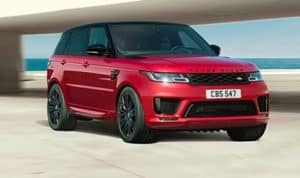 Firenze Red Metallic 2019 Land Rover Range Rover Sport HSE 4WD 8-Speed Automatic 3.0L I6 3.0L I6. Recent Arrival! 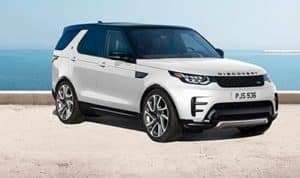 Fuji White 2019 Land Rover Range Rover Sport HSE 4WD 8-Speed Automatic 3.0L I6 3.0L I6. Recent Arrival! 1AM/Blue 2019 Land Rover Range Rover Sport HSE 4WD 8-Speed Automatic 3.0L I6 3.0L I6. Recent Arrival! 1AB/Gray 2019 Land Rover Range Rover Sport HSE 4WD 8-Speed Automatic 3.0L I6 3.0L I6. Recent Arrival! New vehicle pricing includes all offers and incentives. Tax, Title and Tags not included in vehicle prices shown and must be paid by the purchaser. While great effort is made to ensure the accuracy of the information on this site, errors do occur so please verify information with a customer service rep. This is easily done by calling us at (844) 702-9348 or by visiting us at the dealership. *USA SALES ONLY. 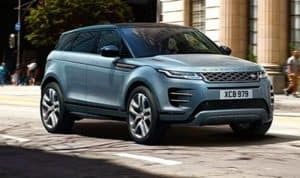 Most of our Land Rover demonstrators (demo) and service department loan cars have been titled (not registered) to Autobahn Motorcars and qualify for Land Rover new car incentives. The factory warranty has started and the mileage will change daily on all demo/loan cars. 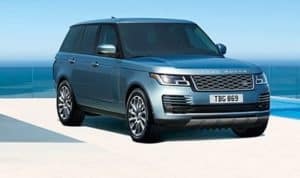 Why Buy a Range Rover Sport? Ready to step into a Range Rover Sport of your own? 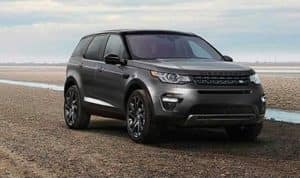 Visit our Range Rover dealership in Fort Worth, or contact our finance department to get the ball rolling and apply for financing online today!